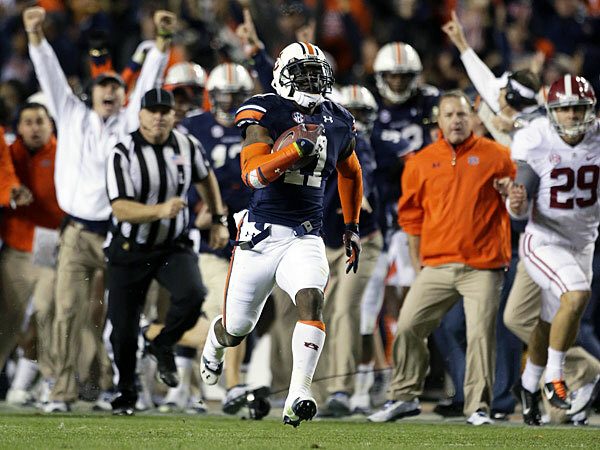 The Iron Bowl Kick-Six was the most memorable moment of last season. What will define 2014? Over the course of this week, Campus Union is unveiling the 100 things it is most excited for in the 2014 campaign. Here is 20-1. Click the following links for 100-81, 80-61, 60-41 and 40-21. RICKMAN: Post-spring practice Power Rankings: Where do the top programs fall? 3. The Iron Bowl rematch. Where were you when the unthinkable happened last season? 1. The College Football Playoff. Could it be anything else? After decades of relying on inherently flawed polls, after years of trying to make sense of the BCS’ complex algorithms, college football’s national champion will finally be decided with a playoff. Beginning this fall, a 13-person selection committee will rank the top 25 teams every week and ultimately seed a four-team field. The semifinals (the Rose and Sugar bowls this season) will take place on Jan. 1, and the title game will happen on Jan. 15. Click the following links for 100-81, 80-61, 60-41 and 40-21.